Ben Law is a research analyst for First Light. In this role, he supports the senior research analysts in a number of ways, including financial modeling, expert network due diligence, industry and market research, and channel surveillance. Prior to joining First Light, Law honed his research skills at Chicago-based Driehaus Capital Management, where he began working as an equity research analyst in 2008. During his tenure at Driehaus, Law supported investment strategies across a wide range of geographies, sectors and market-caps, including U.S. mid-cap, U.S. large-cap, focused equity growth, global growth, international discovery and the firm’s nearly $1 billion international small-cap fund. 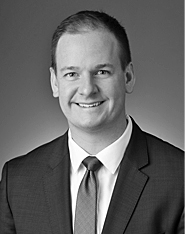 While at Driehaus, Law was promoted to senior analyst covering global industrials and utilities, as well as international small-cap companies. Law earned a bachelor’s degree in business administration from the University of Minnesota Duluth’s Labovitz School of Business and Economics.